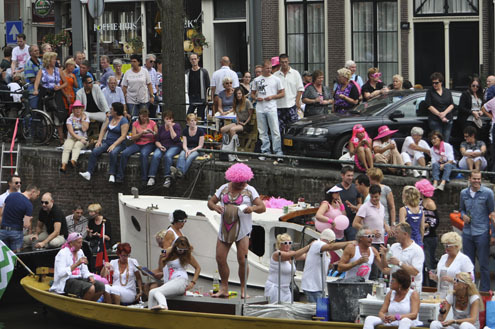 Unbeknownst to us, it was Gay Pride Weekend so the city was buzzing with energy. 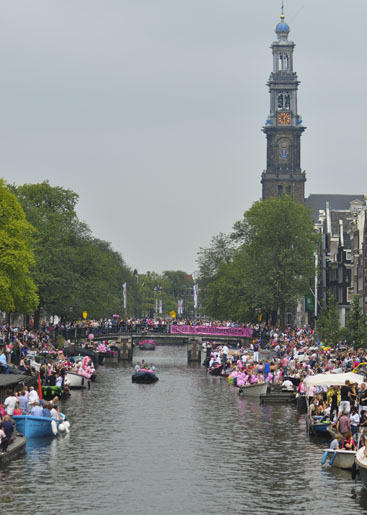 The Canal Parade on Saturday was the main event and provided us with some good sights & sounds—blow-up dolls, loads of pink, crazy costumes and the thumping beat of dance music. People were out to have a good time and celebrate. 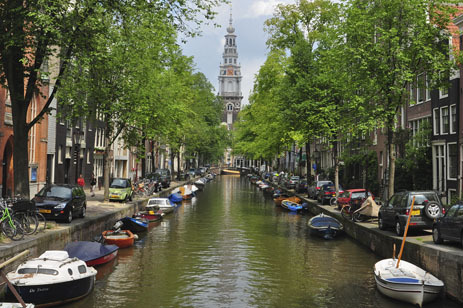 As the capital of the Netherlands, Amsterdam offers a relaxing atmosphere. 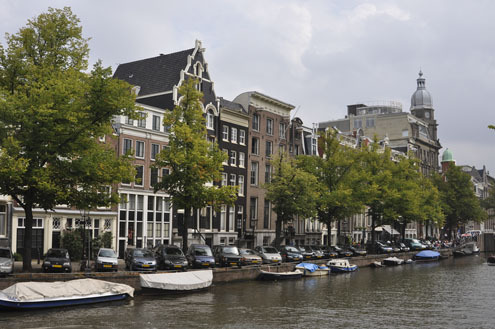 It’s a pleasant place to stroll around the streets, walk across its countless bridges or stop in a café to unwind. Its “live and let live” attitude is evident everywhere you go. 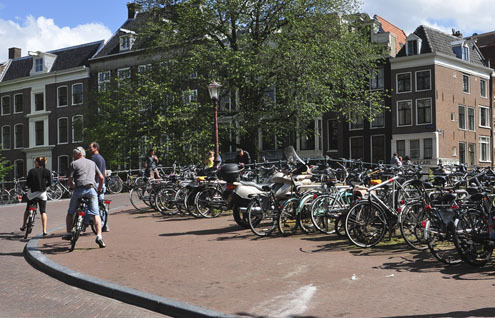 They say that Amsterdam has as many bikes as people and we all agree. The streets are filled with them (and their ringing bells), so watch out if you’re on foot because “bike is king” here. 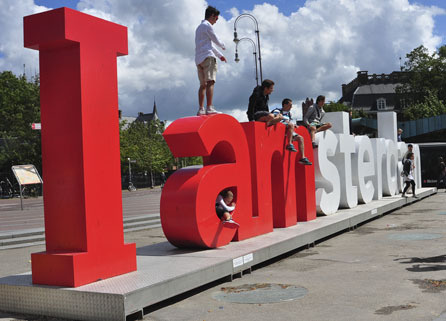 The one neighborhood Amsterdam is probably most famous for is its Red Light District. It’s not an area for kids, squeamish adults or snapping photos for your Flickr account, as barely dressed women openly display themselves in windows and doors waiting for their next customer. Prostitution is legal here…need I say more. With all that said, it is a fascinating glimpse into a world so foreign for so many of us. 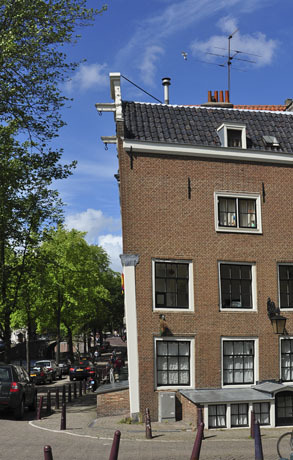 Amsterdam is also home to some fantastic museums. The Van Gogh Museum features some 200 works from this Dutch artist’s short life (he killed himself at age 37). 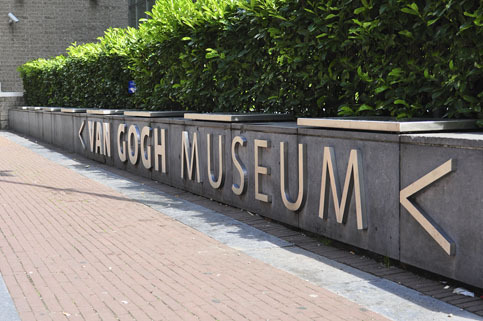 This well-planned museum makes it easy to navigate through Van Gogh’s career. Highlights include, Sunflowers, The Potato Eaters and The Bedroom. 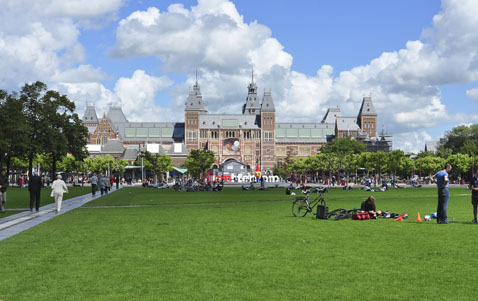 The Rijksmuseum features the nation’s Dutch Masters, including Rembrandt and Vermeer. Unfortunately, due to time issues, we were unable to tour this museum, but the building itself is so beautiful it was difficult not to include in this post. 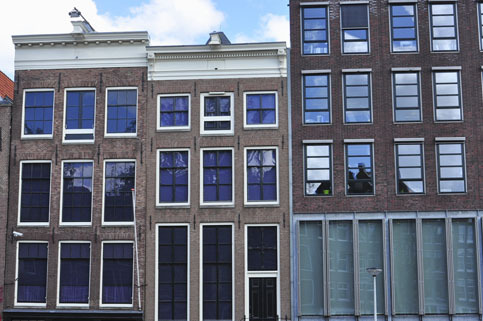 The Anne Frank House offers an extraordinary look into the house and hideaway of the Frank family during the Nazi occupation of the Netherlands. The family lived in a “Secret Annex” for over two years until they were betrayed and deported to concentration camps. During the two years of hiding, Anne kept a diary of her thoughts, feelings and fears. Sadly, Anne, her sister Margot, and her mother died while imprisoned. Her father, Otto, survived Auschwitz and later returned to Amsterdam to find Anne’s diary was kept safe by two women who helped the family during their years of hiding. Otto went on to publish Anne’s diary into a book and later helped open this “Secret Annex” to the public. This is a deeply moving museum and one not to be missed. 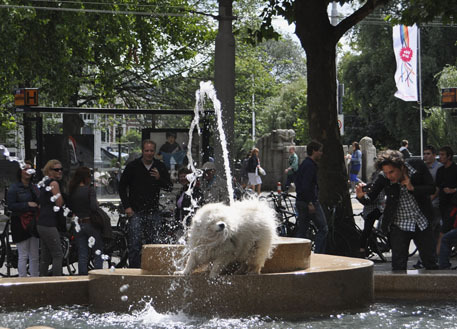 The three of us enjoyed Amsterdam just as much as our furry friend enjoyed the fountain above. It is definitely on our return list.